That’s why we’ve put together the chart below featuring a property tax comparison by state. Every state has real estate tax; that’s a guarantee. (You can see a chart of commercial property tax rates for some of the largest cities in the U.S. here.) But when it comes to business personal property tax, there are no generalizations to be made—which makes things more complicated. Keep this chart handy for future reference. It will help you know which states require greater effort and attention when it comes to taxes, and give you a place to start when comparing the personal property tax policies of each state. There are three things to highlight with regard to comparing property taxes across the states. Some states don’t tax business personal property. If you’re a homebuilder or a real estate investor, your taxes are more likely to be real estate-based than personal property tax-based. But if you’re planning on building a factory that will include high-value machinery, operating in a state that doesn’t tax business personal property could mean a significant difference to your bottom line every year. Filing personal property returns is one of the most complicated pieces of the property tax cycle, so not only will this save you money, but it will also remove a sizeable chunk of your tax team’s workload. Some states have a more complex tax process than others. In addition, you may receive multiple tax bills for a single property, depending on the state/jurisdiction your business is located in. For example, if you have two properties in Dallas County, Texas, one in the city of Mesquite and the other in the city of Grand Prairie, you would receive two bills for the property in Mesquite—one from Mesquite, which collects the taxes for the City of Mesquite and Mesquite Independent School District (ISD), and another bill from Dallas County. For the property in Grand Prairie, you’d get just one bill—from Dallas County. That’s because Dallas County collects the taxes for the city of Grand Prairie City and Grand Prairie ISD. Looking for a way to reduce the complexity of filing returns in every state? Take a tour of CrowdReason property tax software to see how easy the process can be. An accurate property tax comparison by state must also include the assessment ratio, not just the tax rate. When comparing tax rates, be sure to compare apples to apples. Some states apply an assessment ratio to the property value before applying the tax rate. For example, South Carolina has an assessment ratio of 10.5% for business personal property. To calculate the tax amount due, you would multiply the tax rate by only 10.5% of the total value. So if you have a property with a fair market value of $400,000, your tax bill will reflect an assessed value of $42,000 (10.5% of $400,000) and a tax due of $18,795. If you calculate the tax rate as total tax amount/assessed value, you’d end up with an incredibly high tax rate of 44.75%! That’s why it’s important to consider the assessment ratio—the ratio of the property’s assessed valuation to its market value—for the locations you’re comparing. Some examples of states with an assessment ratio of less than 100% are Georgia, Missouri, South Carolina, and Tennessee. Looking for property tax information about a specific state? Our blog contains several articles with more detailed information about certain states; overviews and links to the full articles are below. While most other states require filing separate returns for every location you have within the state, Maryland requires only one return per legal entity doing business there. That single return represents all your Maryland locations, and is handled by a single state agency, the Department of Assessments & Taxation (SDAT). The reasoning behind having a single state agency manage personal property assessments rather than multiple jurisdictions (as in other states) is consistency. “Uniformity” of assessment is required by a clause in the state constitution; decades ago it was determined that the best way to achieve that goal was to authorize one administrative body to handle assessments statewide. This system was reviewed and validated in the early 2000s, and today, all Maryland counties contribute funding for the administration of assessment laws by SDAT. For Maryland businesses, that means fewer mailings compared to other states. Another highlight related to Maryland personal property tax: There’s a filing fee of $300. It’s the only state where businesses pay a fee to file their returns. For more information and key dates regarding Maryland personal property tax, read the full article. New York is one of 12 states that does not tax personal property, so there are no returns to file. Only real property—the land and permanent structures attached to it—is subject to taxation. New York properties are assessed based on market value, by a local assessor. All taxable properties in a city or town are assessed at the same percentage of market value annually. (Here’s a chart of tax rates by county.) Some businesses may be eligible for exemptions or credits. To learn more about New York business property tax, read the full article. Business personal property in California is assessed each year at its full market value as of January 1. (That’s in comparison to real property, which is reassessed only when it is sold—a measure determined by Proposition 13 back in 1978.) But even though real and personal property are assessed differently, the tax rate for both types of property in the same location is the same. Business personal property with a cost in excess of $100,000 is reported annually, but some aspects of filing, billing, and appeals are handled differently in California than they are in other states. For example, with regard to filings, California has non-taxable or exempt asset classifications that include business inventory (all tangible personal property that will become part of or are themselves items held for sale), application software (like Microsoft Excel or QuickBooks, for example), and licensed vehicles. Another thing to be aware of is California’s system for sending tax bills—they may send supplemental bills apart from the standard tax bills, sent in response to a change in ownership, new construction, or a completed property tax audit. These supplemental bills may be sent at varying points throughout the year, or even years later, so it’s critical to keep good records regarding past assessments and bills paid. For more tips to help you stay on top of California business personal property filings, read the full article. In Texas, business owners are required to submit a rendition statement listing classifications, costs, and acquisition years of business personal property items yearly, no later than April 1. (A 10 percent penalty is imposed for late returns.) If, in your estimation, your business assets are valued at less than $20,000, a lump sum value statement is acceptable. Some Texas businesses may benefit from a special tax exemption called the Freeport Exemption. Inventory that resides in the state for a short period of time (175 days or less) and will be transported outside of Texas may be tax exempt. (The Freeport Exemption does not apply to oil and gas.) This could lead to a sizable reduction on your company’s inventory value and reduced taxes. 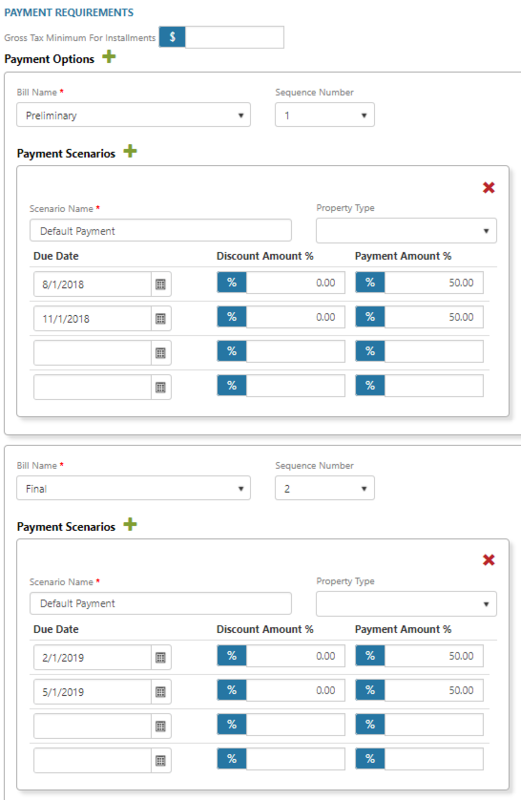 If you believe some of your business assets may qualify, you must file a separate form sometime between January 1 and April 30 of the current year. But keep in mind that, even if you’re applying for this exemption, you still need to account for those assets on your actual return. If the exemption is granted, the assessor will reduce the total value by the amount of the exemption. For two more important pieces of information about Texas business personal property tax, as well as a list of key dates, read the full article. 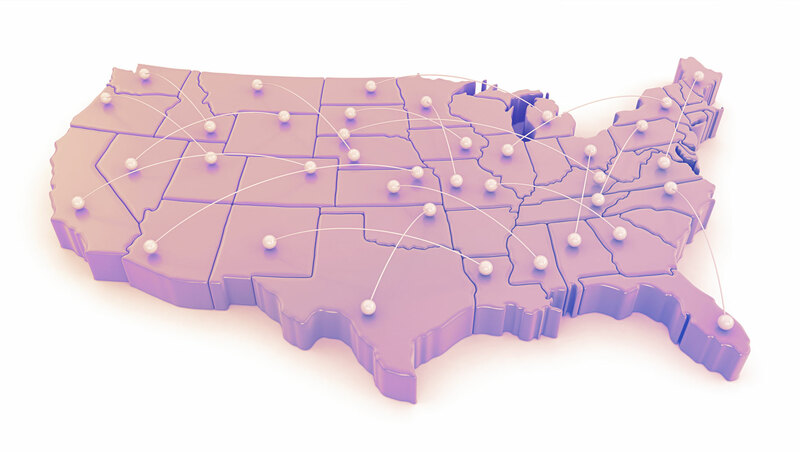 Want to simplify your business personal property tax process no matter what state you’re in? Regardless of what your property tax comparison by state reveals, it’s almost certain that you’re spending more time than you need to tracking dates, filling out spreadsheets, and verifying addresses. The more time you spend on those activities, the less time you have for more valuable property tax tasks—like figuring out ways to reduce your tax bills and carrying out successful appeals. CrowdReason software can help. You won’t need charts of any kind, because we’ll track everything for you. Our TotalPropertyTax (TPT) software automatically knows whether or not personal property tax is applicable to the state you’re filing in. And it fills in all those knowledge gaps created by “various” deadlines, turning them into actual due dates—for every jurisdiction in the U.S.—you need to meet. So you’ll never have to go searching for dates and scramble to meet them; you’ll also never have to search for mailing addresses or depreciation tables, because our software handles all that, too. TPT makes it easy to know when collectors will send two separate bills, like this example of a "Preliminary" bill and a "Final" bill. It also shows that each of those 2 bills have the option to pay in two installments, along with their due dates and payment amounts. To find out more about how CrowdReason software can help your tax team reduce the time and effort spent filing returns, contact us or request a demo to see it in action. We’re committed to providing tools that will help you do the work you love—solving complex tax problems and minimizing property tax expenditures.